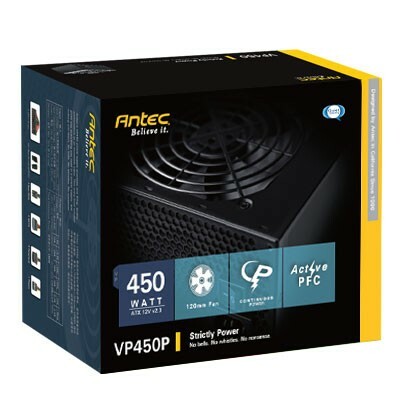 The VP450P is crafted for just three things: Quality, performance and incredible value. This entry-level solution gives you everything you need in a power supply. No twinkly lights or glittery paint jobs just a 120 mm fan for effective and quiet cooling, dual +12V rails for amazingly stable power, heavy-duty protection circuitry, and power factor correction that saves money on corporate power bills. 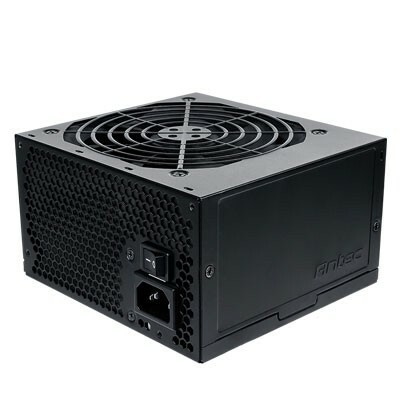 And it comes with all the assurance of Antecs AQ2 Antec Quality 2-year limited warranty. All the features, none of the waste: For builders that are strictly business, the VP450P is strictly power.